Midweek post in celebration of Bike to Work Day! Thank you for debunking my self-created myth that riding the 10 miles to the garage would be an unsafe ride. You with your bright yellow riding jackets and helmets certainly proved me wrong. Thanks also for getting Queen’s “Bicycle Race” stuck in my head today. Happy riding folks and I hope you enjoyed your commute today! In all seriousness though it was really incredible to see that many people on my morning commute when the average number of cyclists I see is two (the point five comes from the bus driver I saw with his helmet hung on the back of his seat…I know he rode into the garage this morning though!). One of the great things about living in this part of Colorado is the ease of accessing a bike path and getting around by bike. My mister rides his bike the 3 miles it takes him to get to work and if I could drag my lazy rear out of bed in the morning it's only a 6 mile ride for me to school. Some folks might scoff at the "only a 6 mile ride" part but getting around by bike is a very novel thing for me. Having grown up in a suburb of D.C. it's perfectly normal that my dad leaves the house two hours before work in order to commute 27 miles. He's made this trek for the last 21 years any number of ways: carpool, bus, and currently the train. But never by bike for obvious safety reasons. For my parents, living any closer to work has never been feasible. That's why I completely geek out over the fact that this is a viable means of transportation. -When you turn over your engine, turn on your driver awareness. Be aware of pedestrians aimlessly crossing the road and watch for cyclists’ hand signals. -Give cyclists plenty of space. Just like you’d get over for a stopped police car, give cyclists some extra room too. It’s law in Colorado, but a good rule of thumb in general is to give cyclists 3 feet of space when driving. -Learn your hand signals. Let folks know what you’re doing before you do it. -Decide whether you’re going to be like a small car on the road or a pedestrian on the sidewalk. Wherever you choose to be don’t mix up the rules and stop at all stop signs or dismount at crossings. -Please be extra visible and invest in headlights and taillights if you’re going to be riding any time other than midday sunshine. Posted in Ninja Mechanic and tagged Bike to Work Day, driving tips, Queen, share the road. Bookmark the permalink. This past week I had the opportunity to partake in a student leadership conference as part of my training as a new state Skills USA officer. 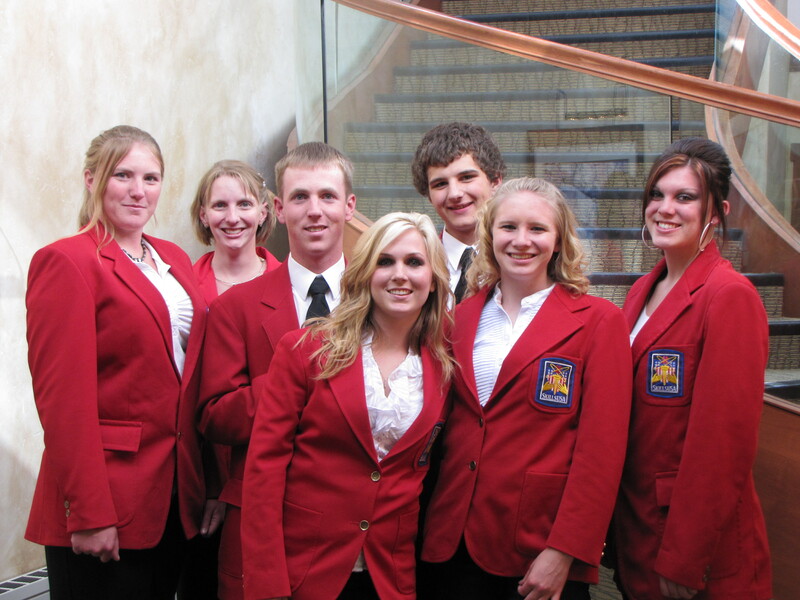 Geared toward high school alphabet soup organizations (such as FBLA, DECA, FFA) the Skills state officer team was among the smallest groups represented. With seven officers we had ample opportunity to navigate the challenges of the workshop (such as having the bulk of our day explicitly scheduled). For us this served as a means to become better acquainted and take steps toward working together more effectively as a team. For me though, it provided insight into the inner workings of groups I knew very little about while a high school student. It seems as though this is one of those things that I missed out on while in high school. As a high schooler I studied a lot, participated in marching band and helped craft our yearbook. But my big resume leadership presence came in the form of being French Club Historian. French Club didn’t have leadership training. We had coups. Freshman year we overthrew our then president and her cabinet because they didn’t do anything. So we staged a coup and then proceeded to enjoy three more years of doing nothing. But it was our nothing. Viva la revolution, right? But you can’t have a revolution when there’s work to be done. I ran for this office in order to make a difference. Our Skills chapter at Front Range is a black sheep in that we don’t really have formal organization. We just have open shop time where we put our wrenches to work and provide basic maintenance for the administrative staff. Beyond my chapter though I have no idea what other groups do. Auto Tech is a part of Skills, but there’s so much more than that. Culinary arts, welding, precision machining, cosmetology, Emergency Medical Services….you name a service or technical career field and it’s probably represented in Skills as career training. There’s a national competition too. It’s taking place this week in Kansas City, MO where the first and second place state winners compete to show off their mad skills. All in all there are many more layers to this being an epic team player than I originally anticipated. As reporter for the state of Colorado it’s my goal to increase communication between chapters and get the word out on what everyone is doing all year round rather than just waiting until our state competition in April. That’s what I gleaned from this leadership conference. Not how to improve my networking. Not how to organize my own successful workshop. But how to get myself in gear and help steer the state team in a productive direction for our one-year assignment together. Here’s hoping we don’t have to pull the emergency brake prematurely. Posted in Ninja Mechanic and tagged group dynamics, Skills. Bookmark the permalink. Since starting this whole crazy automotive adventure I have helped tear apart two dashboards and have reinstalled the instrument cluster of one. So far my record’s not looking so good on the reinstall side of things, but I’ve averaged one a year so far and my internship this summer only started last Tuesday. Last time it was a matter of replacing the switch on the steering wheel for the washer fluid. This time it’s a matter of putting one of the vents back in place for the A/C and heater. Only it’s become a lot more involved than the master technician I’m shadowing anticipated. Currently the entire heater unit’s sitting on the bench as we wait for new parts to arrive. All told my dashboard experiences have made me acutely aware of how much but also how little is actually contained under the guise of an aesthetic concealment job. A lot seems to be clever engineering to enhance air flow but in some cases — like on the early 1990s Chevy Suburbans the school district owns — it also contains the car’s computer. It continues to amaze me how tech savvy the automotive industry has become. It’s not on the same level of computer cleverness as an iPod, but without that, the Suburban is going nowhere fast. The PCM, car’s computer, hangs out on the far right of the car behind the glove box. But then there’s all that space in the center with the radio, so what’s going on there? With my forearm shoved up one of the larger air vents that area contains useful wires and more duct work for airflow. These hollow cavities seem to be engineered to collapse in the event of a crash. Basically, they crumple and you don’t. Moving across to the left is the instrument cluster. It’s pretty straightforward on the the inside. The gauges tell you about the vehicle’s health and all that is processed by way of just a handful of wires. It just helps when you put the wires back in properly … The steering wheel and its accoutrements also takes up a lot of room. But it still seems like a lot of interior space that’s just there. Maybe that’s where the engineers should look to condense fuel mileage on future concept cars. Either that or an easy way for drivers to vacuum out the airways on their own. Not everyone has a technician with a skinny little arm to flail around up there and dust. Posted in Ninja Mechanic and tagged bus detailing, Chevys, dashboard disection. Bookmark the permalink.